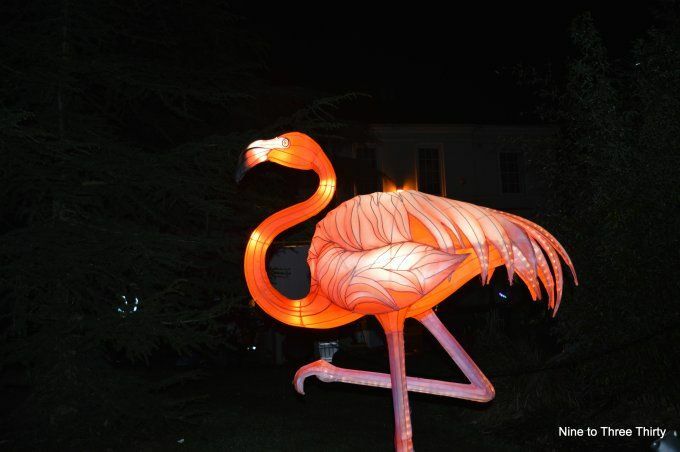 At the weekend we went to the Magical Lantern Festival that this year is being held in Kings Heath Park in Birmingham. It’s timed entry and you can park in a nearby school car park, so it doesn’t get too difficult logistically. If you are on public transport the number 11 bus goes right past and that goes just about everywhere in Birmingham, plus there are buses from the city centre going up nearby Kings Heath high street. 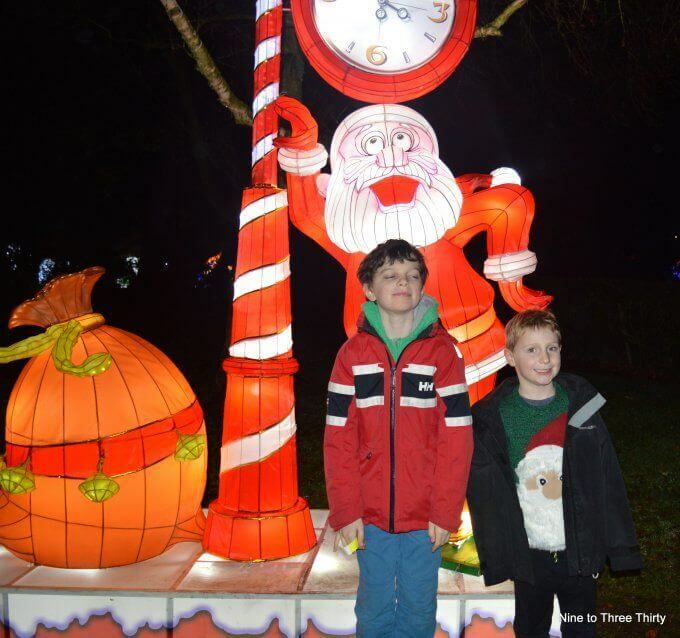 The timed entry means that the lantern trail isn’t overcrowded and you can get to fully enjoy the lights. The boys (H and his cousin) had a lot of fun picking out the lights as we turned the corners of the route through the park. There were some lights that you could get a little closer to and take some pictures like this one, but you aren’t supposed to touch any of the light installations. The Magical Lantern Festival is open until 1st January 2018. There’s loads to see including a representation of Birmingham’s Central Library building. I think my favourite were the flamingos, but the polar bears came a close second. Around the trail there are various stopping off points where you can get something to eat or drink, or maybe go on a fairground ride or two (mostly geared to little ones). There was also a Santa’s Grotto (for which there’s an extra charge) and you can either book in advance or queue up on the night. At the end there’s a tent where you can go to eat your food if you have purchased from one of the stalls. This was great for us as we hadn’t eaten before we went, so we were able to get some food and sit down to eat it inside (there are outside benches too, but it was a bit damp). Wow! Such a nice place to take some pictures with the beautifully built lanterns. 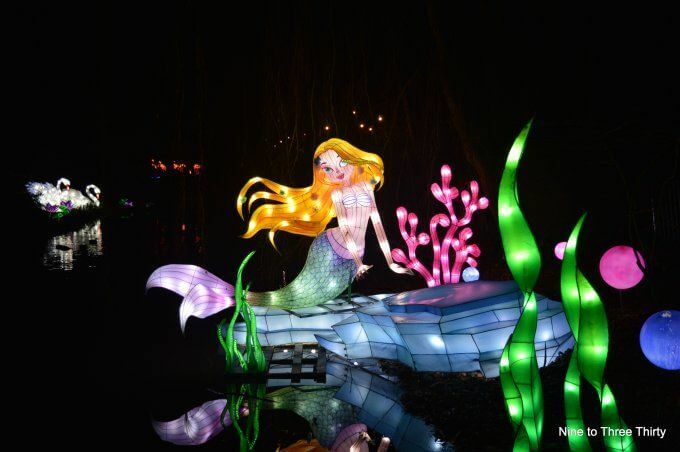 Indeed a very nice place for the family and for sure, children will absolutely enjoy these lanterns. Thanks for sharing this post! My nieces would love it here. Looks a great day out. This looks like so much fun! Can’t wait until my little boy is old enough to enjoy it! I hadn’t heard of this, it looks like really good fun.